Today some of our technology is too free and easy, particularly our contactless bank cards, access cards and fobs. They can be picked up and used by anyone with little protest. Shy is selective. 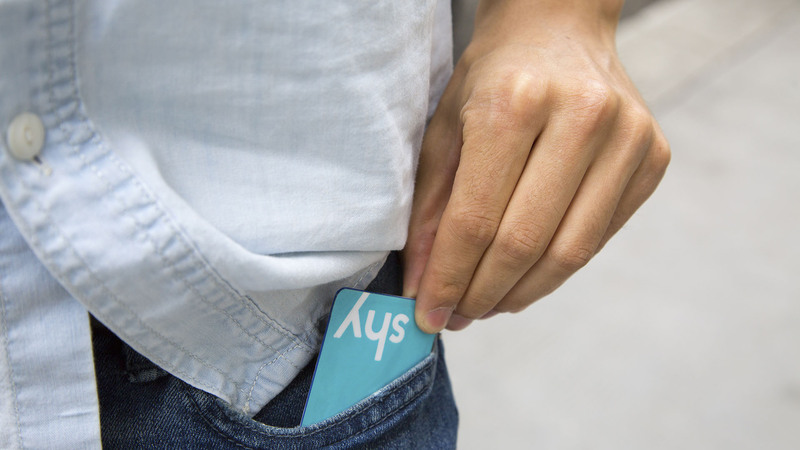 Shy replaces your current contactless card, incorporating a physical password to activate. A set of passive air buttons embedded into the card allow radio communication for a limited time (up to 10 seconds). As such, the buttons can be pressed out of sight to ensure privacy before touching on the card reader as normal. 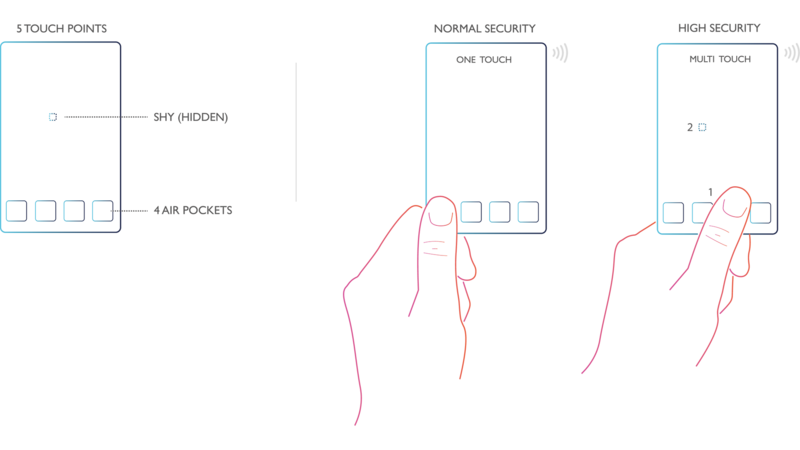 If an incorrect combination is entered the contactless functionality can be disabled until a higher level of authentication is used, such as a PIN code. The Shy card has two levels of security; normal and high. Normal replaces the current general functionality of a contactless card, for example a payment up to £30, or access to a building. To activate, press one of the four air buttons on the face of the card. High security offers a higher level of protection, for example higher value payments, or access to a secure lab. Two button presses are required, an air button and a hidden button. Only the user knows correct lcoation and combination. The Shy card is extremely low cost to produce and compatible with nearly every passive contactless system operating today.